The competition is hotter now, the contestants are good singers but the judges are looking out for the performance and the X factor they have to bring into the competition. So, tonight these singers needed to not only up their games to please the judges but also to escape elimination. fun so much as the contestants and uncle Ben in particular treated them to different Nigerian hits. Back to the gist of the evening, with the conscpicous absence of the Academy Principal, award winning actress Joke Silver who is fondly referred to as ‘Mummy J’, the show kicked off as Ghanaian Ethel did a smooth presentation of Lucky Dube’s ‘Different Colours’ as the other contestants on probation performed the same songs that landed them on Probation one after the other. Then came ‘judgement’ time. Surprisingly, the highest vote from viewers went not to Ethel as usual, not to Rachael, but to Roy…wow! and that was how the last guy standing escaped elimination. Ethel found favour in the face of the judges as they gladly saved, Ese was saved by the Faculty. 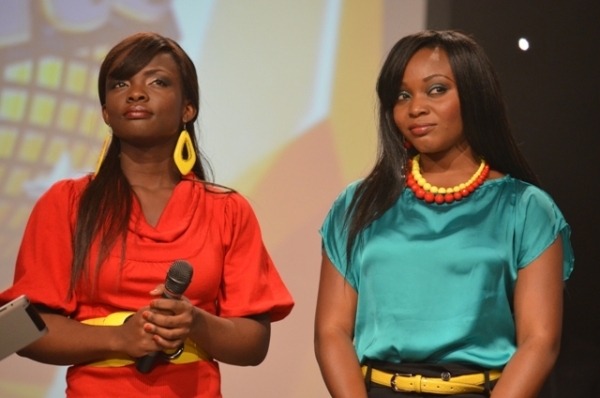 As Monica and Ruth were the contestants not on probation, it was therefore their bid to save the last contestant. While Monica rooted Rachael, Ruth voted Yvonne and the need to break the tie came and the contestant saved by the viewers was called to do this. Roy with much thought saved Yvonne and that marked the exit of our Liberian Princess and Rachael. Sadly, though Princess and Rachael brought all their energy and best into their performance, they were not lucky enough to escape the sting of elimination.